My texts are not only theoretical reflections over these concepts, my intention is to discuss the ideas through art, to approach these concepts through art, and by this hopefully open up for new understanding – for me, and for my readers – of what a home is/can be, of what it is to be a mother/ can be … etc. ‘Blueprint’ was made for the 12th International Architecture Exhibition, Venice Biennale. Its a collaboration between Do Ho Suh and Suh Architects. 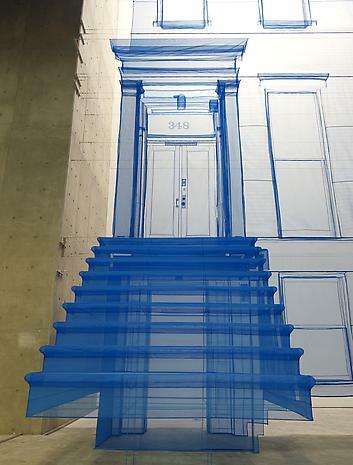 Do Ho Suh’s work is a full-scale (1:1 scale) 12.7 meter tall, hand-stitched, translucent fabric facade of the New York townhouse where he presently resides. As part of a series of works recreating the buildings in which he has lived, the artist continues to explore the notion of home in a nomadic, global society. Next Post have a drink!